This item condition is New. For New condition books in our store; You will be the first user. You will be the first to open the book cover. For all our books; Cargo will be delivered in the required time. 100% Satisfaction is Guaranteed! This much-awaited text provides a complete look at this specialized area in the culinary arts. 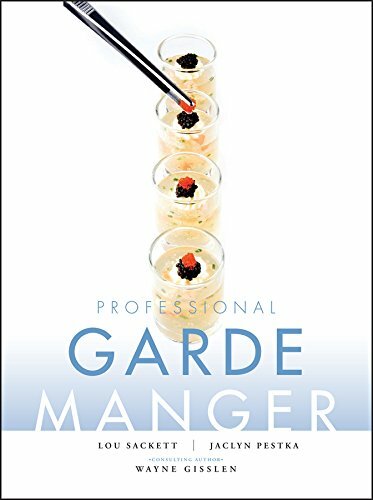 Professional Garde Manger presents culinary students and professional working chefs with the comprehensive and visual coverage of everything they need to know to master the cold kitchen. 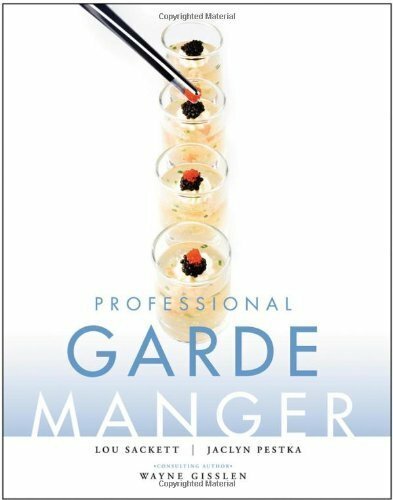 This definitive new text on garde manger work provides step-by-step techniques and procedures covering over 450 recipes and more than 750 recipe variations for the garde manger chef. Illustrated with line drawings and more than 500 new photos, it covers topics ranging from simple salads to mousellines and charcuterie specialties to careers in the field. Same proven pedagogical features and easy-to-follow recipe layout as Professional Cooking and Professional Baking, including chapter pre-requisites and objectives and key terms. Focus on teaching and mastering skills necessary to be successful as a garde manger chef, with reinforcement in practicing recipes provided. Thoroughly revised and updated, Wiley CulinarE-CompanionTM Recipe Management Software now includes video clips demonstrating basic skills for use as prework or review, and contains all recipes from the book -- and more! Millions of chefs have learned the fundamentals of cooking and baking like a professional from Professional Cooking and Professional Baking. Now, Lou Sackett, Jaclyn Pestka, and consulting author Wayne Gisslen bring those same hallmark features to understanding the art of garde manger. This comprehensive and beautifully designed book builds on basic skills to present students and professional chefs with the advanced concepts and skills necessary to master garde manger work. Visually stunning and lavishly illustrated, the book includes step-by-step techniques, procedures, and finished dishes for more than 375 recipes and 400 variations. A variety of visuals totaling more than 700, and including more than 500 photographs, new and unique plating blueprints, and hundreds of line drawings, bring to life the methods, skills, and artistry at the core of garde manger work. Professional Garde Manger is organized in a logical progression from basic preparations, such as sauces, salads, and sandwiches, to more complex ones, such as charcuterie work, mousselines, and chaud-froid. Within each chapter, practical theory is presented first, followed by information on ingredients, basic procedures, and, finally, recipes. The demands of the garde manger's craft require knowledge and skills drawn from all culinary disciplines. Professional Garde Manger, the most comprehensive treatment of the cold kitchen available, thoroughly prepares culinary students, cooks, and chefs for the specialized work of the garde manger chef—presenting high-quality cold foods for a variety of purposes and settings.